Avi Nir is the Chief Executive Officer of Keshet Media Group. He has held that position since 2002. Mr. Nir has joined Keshet in 1993. Throughout his tenure at the company, he held a series of increasingly sensorial management positions, serving as VP Marketing & Sales from 1995 until 1999, and then heading the company’s core business as VP Programming. In 2002 Mr. Nir was appointed the Chief Executive Officer of the company. Under Mr. Nir’s leadership Keshet has established itself as the leading commercial broadcaster in Israel (averaging a weekly 35% share) as well as a content provider for the international market. 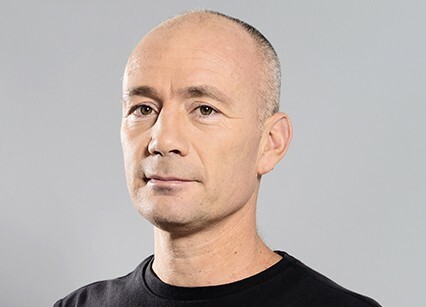 He has also spearheaded the company into new media operations, establishing its portal (Mako) as the #3 website in Israel in just a year as well as diversifying Keshet’s portfolio with the acquisition of channel 24 (music channel) in 2009. In 1994, Mr. Nir co-authored the book “Advertising in Television: the Media, the Message, the Money”. Mr. Nir received his MBA, from the Tel Aviv University Graduate School of Business, where he won the “Sigal” Prize for excellence in marketing research. He holds a BA from the department of Film and Television at the Tel Aviv University.